06/19/2015 – Break the Block | James W. A. So this new blog post isn’t about why I didn’t write, but rather why myself and so many others don’t write or feel they can’t because they’re struggling with an age-old enemy and nemesis to any creative or professional writer: Writer’s Block. Yes, just as athletes, swimmers, and nurses all have afflictions associated with various body parts, the poet and the writer has a demon of the mind to contend with every time that he or she wants to sit down and produce words and feels that he or she cannot. The very term Writer’s Block commands sighs of frustration and grim understanding from wordsmiths around the world, but how can we actually quantify what Writer’s Block is? Charlie Jane Anders, popular American novelist and magazine publisher, offers the opinion that there is in fact “no such thing as ‘Writer’s Block,’ and treating a broad range of creative slowdowns as a single ailment just creates something monolithic and huge.” In essence, there are multiple ways that a writer can feel shut down or bottled up and each type in different than the last. Anders offers the notion that there 10 different forms of Writer’s Block and they are outlined in her article “The 10 Types of Writers’ Block (and How to Overcome Them).” I highly recommend checking out the article for all the insight it has to offer, but in a nutshell, most forms of Writer’s Block arise from the depths because you don’t know what to write next. This may sound redundant and obvious, but there are different places in which the Muse falls silent. For example, you may have a great beginning to a story and a killer ending, but no way to connect the two; you can’t seem to think of a middle to the plot. This is different than, say, having a full bodied plot, but bland characters that you just can’t think of appropriate attributes for. A lot of authors struggle with committing to a particular project because they have some ideas, but no substance to them. All of these different manifestations have different solutions to them and Anders outlines some to provide answers as to how to cure Writer’s Block. The most common problem, the largest brick in the proverbial Wall, is the inability to start a piece or even come up with any ideas for them. Oftentimes, I’ve even heard people say to me, “Aw, man, you know, I really want to write a book too, but I don’t have any good ideas for one.” I myself have even have the desire to write, to create something, but the exact nature of that something seems to elude me. How does one cure this then? How does one break the Block and let the inspiration flow. It’s a very common misconception among both authors and laypeople that inspiration is something that “just happens.” Yes, it is true that sometimes events or emotions inspire us to express ourselves in something about them. However, it is not true that a person can’t write unless “inspiration strikes.” This is one of the mightiest stumbling blocks to new writers especially. The truth is that the only thing stopping you from writing is you. Remember that you don’t have to sit down and write the next great novel or a poem to change lives. Sometimes the best way to prime the creative engine is to just sit down and start writing about mundane, everyday things. There are so many exercises or prompts out there that can help you get the ball rolling. There’s no shame at all in searching online for these or other literary “conversation starters.” For example, the site Daily Writing Prompt has one for, well, every day of the year and updates some regularly with multiple prompts if you don’t like the first one on the list. If you’re at a complete loss, simply write whatever is in your head. I don’t know about your voices, but mine don’t ever shut up, so there’s definitely always something to put onto a page. I’m kidding slightly, but you get the idea. If you’re really too stubborn to settle for any “ordinary” writing and too organized to pursue a temporary stream of consciousness, you can always put the pen down for a little while and go hunting for ideas. They say that all great writers and also great readers, and reading the works of others can also help you generate ideas of your own. I do not condone copying at all, of course, but sometimes a poem or short piece might inspire a twist on an old dusty idea you tucked away and forgot about. If you’re distracted by other thoughts in your head, read some fan-fiction online that corresponds to something you’re interested in. Fanfiction.net is a master hub for enthusiasts of all different arts (movies, TV, comics, etc.) and getting the insights of “average” writers can help you out as well. Even television and movies can help you get your own ideas flowing. Anything that has a story really can help you craft your own. Even a powerful song can elicit emotions that may be just what you need to type out a poem you’ve been bottling up. That’s the beauty of writing; we all grow together and feed off of each other in some ways. There is another general manifestation of Writer’s Block that also threatens potentially great authors every day from reaching their potential: fear. The loudest voice in our head that comes out to play when we write is often the voice of doubt, or as Anders puts it, the “Inner Critic.” This form of Writer’s Block is paralyzing because it tells us that we won’t write something good, everyone will hate it, we’ll end up outcasts, die, and then be homeless in Heaven. It’s completely easy to fall into this trap and doubt our own abilities because, psychologically speaking, we tend to be hardest on ourselves. Therefore we don’t write what could be a good piece not because we can’t think of something to say, but because we are too afraid to say it. How do we confront this Inner Critic? Reason is sometimes the enemy of fear and reassurance can go a long way in easing our dark thoughts. Telling yourself that what you write will most definitely be better than you think it is (and 99% of the time, this is true) can help coax you into writing anything. Having the support of those you care about and who care about you is helpful too. I know from personal experience, I sometimes am really afraid to write something I think might be awful or share something I have written because I think it is awful, and my girlfriend always reassures me that it’s okay. And so far, it’s always turned out alright. And if you don’t have someone else to reassure you or people that put you down (trust me, I’ve been there too), then that’s fine too because you don’t need anyone’s approval, you badass, you! Remember, you always can, and in fact, should, go back and revise your work later. So even if you don’t think it’s that great, it can be made great later. This “safety net” can also help remind you that it’s okay to just say what you want to say. If you have a story to tell, then it deserves to be told and you don’t have to be afraid to put the pen to paper. You as a writer, or even an aspiring writer, don’t have to be tied down by Writer’s Block. Just like The Farmer in In the Library, you too can push through it and create magnificent pieces. I hope you’ve found these tips useful to you in confronting Writer’s Block and remember that you’re not in this alone; all of us we walk this journey of words together. 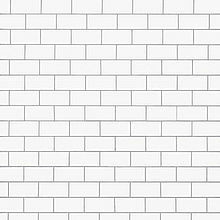 *Heading Image: “The Wall” (album art without words) by Pink Floyd.